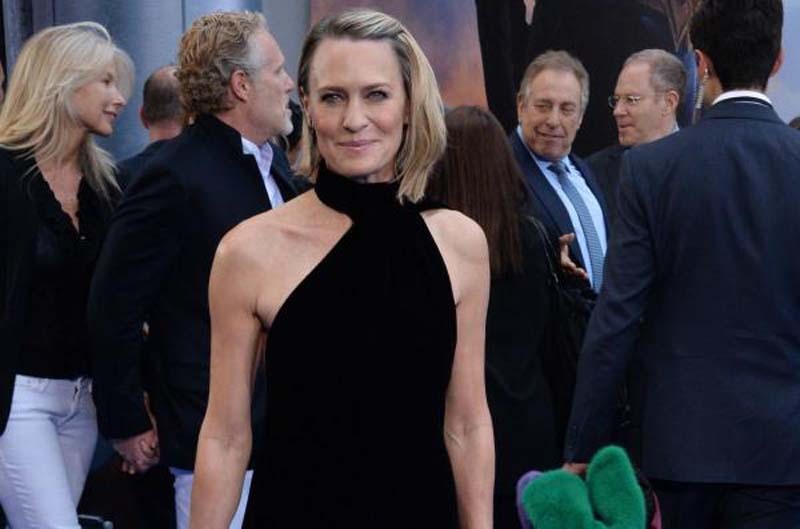 Robin Wright talked for the first time about her former House of Cards co-star Kevin Spacey Monday on Today as the Netflix political drama prepares to launch the sixth and final season without the actor. [post_ads]Spacey was written out of House of Cards after facing a number of sexual misconduct allegations. Spacey's character Frank Underwood, was last seen at the end of Season 5 resigning as president, placing Wright's Claire Underwood in charge. "I think we were all surprised, of course, and ultimately saddened," Wright said to Today's Savannah Guthrie about the allegations surrounding Spacey. Wright, when asked about her working relationship with Spacey, noted that she only communicated with him on set. "We never socialized outside of work," the actress said. "Kevin and I knew each other between 'action' and 'cut,' and in between setups where we would giggle. I didn't know the man. I knew the incredible craftsman that he is," she continued about his acting ability. Wright also confirmed that she too has experienced harassment while working in Hollywood. "Who hasn't? ... This is a bigger, broader issue, I think -- which is seduction. I don't care who you are. It's about power, and once you overpower someone, that person then becomes vulnerable. And this last year, I think, has shined a light in a new way to allow us to start a new conversation," she said. House of Cards Season 6 will arrive on Netflix with eight episodes this fall. Wright recently delivered a Fourth of July message as Claire Underwood in a new teaser for the show.